Back in 2014, Medicom Toy immortalized Bart and Homer Simpson in Bearbrick form. Now the Japanese toy giant is doing the same for Bart's superhero alter ego, Bartman! 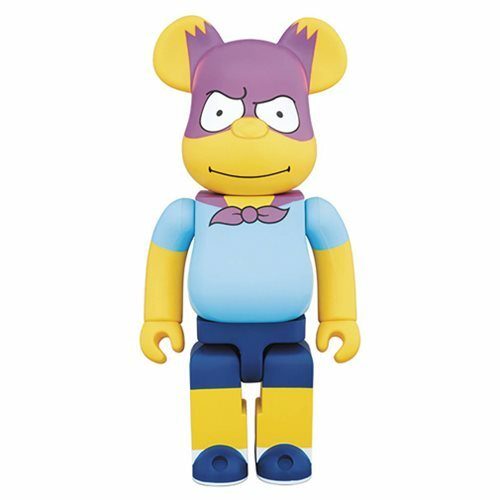 Complete with a matching cape, this Simpsons Bartman 100% Bearbrick Figure measures about 2 3/4-inches tall. Ages 15 and up.